TechShop is closed, files bankruptcy @techshop #techshop #makerbusiness « Adafruit Industries – Makers, hackers, artists, designers and engineers! MAKE saw the news today first – . Making requires curiosity, creativity, and courage. Makers are people who think critically in order to find solutions to difficult problems. Finding the right solution, however, takes a lot of wrong prototypes. Only through this iterative process do we find the best path forward. This is true of both products and business models. As a company, TechShop has gone through many iterations. We have grown from one location in Menlo Park to 10 locations across the US and 4 Internationally. We have tested new ideas through community engagement, education, youth programs, and business innovation with partners large and small. We have furthered the impact of the Maker Movement, guided the creation of more makerspaces, and launched countless individual enterprises. Now, however, we are bringing this final iteration of the company to a close. The website currently forwards to a PDF of the company history. Archival copy here. From the post on MAKE by Dan Woods the CEO, cash flow. I’m not going to spin this. We’ve been operating on exceedingly low cash balances for quite some time now. Until recently, this meant late payment to instructors and vendors, which none of us liked, but at least we were able to pay everyone, albeit several weeks late, and keep the doors open. As I shared with many of you directly, I wasn’t happy operating that way. We were trying to do whatever we could to keep the doors open and remain operational so that we could see the light of the next day and hopefully close on a couple of large licensing deals we had been working on. However, this cannot go on any longer. The current cash conditions — and the toll they are taking on employees, instructors, and members — are entirely unacceptable. Over the past week we have worked tirelessly to explore options for filing Chapter-11 bankruptcy. This alternative would have allowed us to reorganize and restructure our debt. To file Chapter-11, however, we would need cash to pay an even further reduced workforce, instructors, rent, utilities, insurance, and the like. That is money that we simply do not have. I can no longer ask instructors, employees, and contractors to work when we do not have adequate cash reserves to pay them. Most regrettably, the only viable path forward is filing Chapter-7. 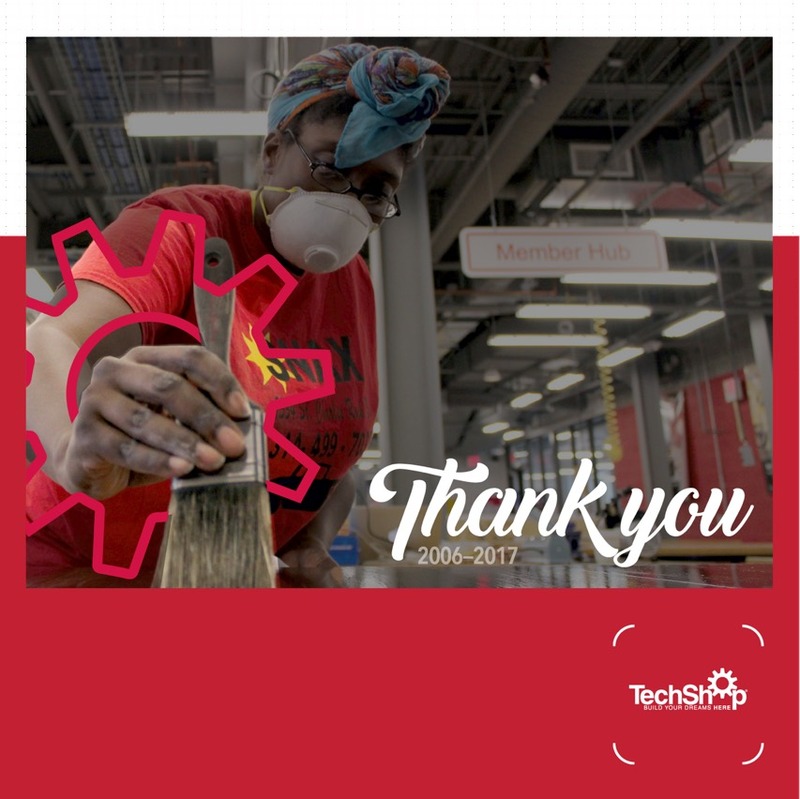 To our friends and community that are part of TechShop, thank you for your work and what you’ve done, many people and projects were brought together because of TechShop, that is something that will continue no matter what it’s called and what iterations will come next.